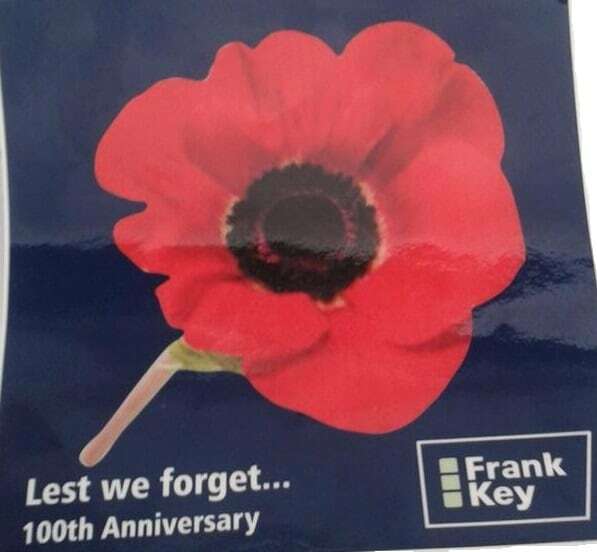 Commencing from the 1st May to the 11th November,2014 Frank Key are donating £1 from every Standard Wheel Barrow sold to the poppy appeal. As of the 31st August 2014 inexcess of £325 has been raised. We hope to raise a minimum of £500. So please visit the shop and help us reach our goal by purchasing the selected Wheel Barrow.